Your step-by-step guide you need to giving the buyer confidence in your team. CVs can be deal breakers and this eBook can help you win the deal. CVs matter and are a key part in demonstrating your ability to deliver a project. They are your key opportunity to showcase the skills, creativity and strength of your people. CVs are your chance to show your client what lies behind your proposed solution and to give them confidence that yours is the team they need at their side. This guide is designed to show you how to take a CV and adapt the qualifications, skills and expertise and target them to the needs of the client. 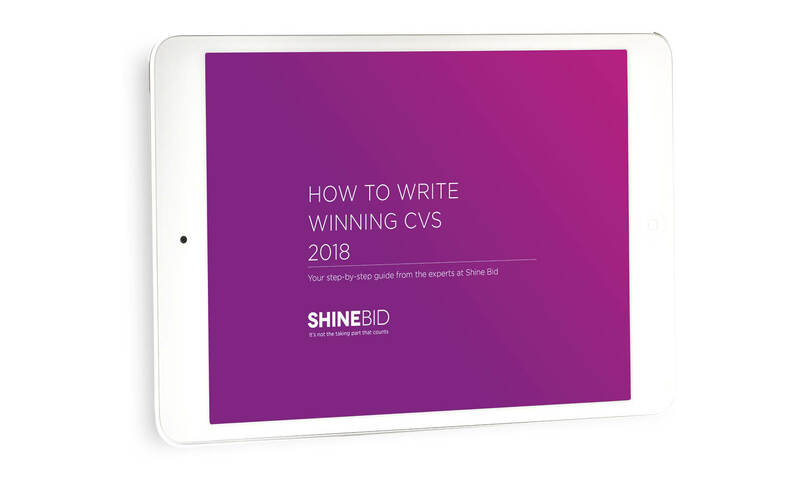 By applying the principles in this eBook, you will learn why CVs are important, how to make the most of them to sell your solution, to give confidence in your team and to reinforce the key messages in your bid.